- Why do you wish to follow Montessori training? - How did you first learn about the course? The AMI Diploma is awarded upon satisfactory completion of the components of the course requirements and the attendance requirement listed on the AMI Requirements for Certification document that is signed by the Director of Training and the student upon acceptance into the course. In order to be eligible to sit for the written and oral examinations a minimum attendance of 90% is required in the following: theory lectures, demonstrations of materials in each area, discussions/reviews, and required reading seminars. In order to receive the diploma the following requirements must be met: successful written and oral examinations, submission of acceptable albums in all areas, materials as required, observation and observation reports, practice teaching as scheduled. Students deferred for any part of the examinations must retake that part the subsequent year and may resit only once. Students deferred for any part of the other requirements must fulfil that part the subsequent year. Should the training centre not hold a course and therefore examination in the subsequent year, the Director of Training will advise an alternate AMI training centre where the student may sit the examinations. All the expenses involved are for the account of the student. Students who fail Paper A and Paper B of the written examination and the oral examinations have failed the course. Books can be ordered from http://montessoribooks.com.au. This subject will introduce students to the theory of the Montessori philosophy and psychology of human development as developed by Dr. Maria Montessori. It will provide opportunities for students to observe this approach. Students will be required to read extensively and widely, conduct their own research and reflect on their own attitudes and development in light of their findings. This subject is designed to introduce students to the exercises of daily life (practical life). In the young child these exercises promote the coordination of movement, the development of functional independence and concentration through the integration of mind and body working together. The senses are the means by which the young child intelligently explores the environment. The aim is to present by lecture and demonstration the sensorial development of the child and the means by which the specifically designed Montessori materials foster and refine this development. These materials include extensions in the areas of music, geometry, geography and botany. The aim of this subject is to explore the way in which a young child acquires language and to show by demonstration and lecture the Montessori activities for the development of spoken and symbolic language in the areas of daily life, story telling, composition, literature, geography, history, biology, science, music, art, as well as the functional aspects of grammar and syntax. The aim of this subject is to explore the way in which a young child develops their ‘mathematical mind’ and to show by demonstration and lecture the Montessori activities which provide sensorial foundations for geometry and algebra, counting and arithmetic. The aim of this subject is to acquire a deep understanding of the qualities of the Montessori materials and their function as aids to child development. 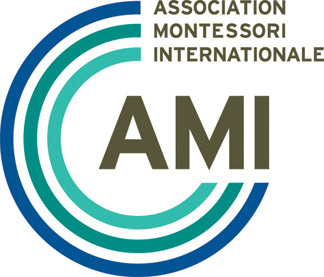 The aim of this subject is to observe children in Montessori classrooms in order to appreciate the role of observation as a major source of information about the child. Through the experience the student will come to realise the role of exact, detailed, objective observations in facilitating a greater understanding of the Montessori theory of growth and development. An additional aim is to raise awareness of the importance and nature of the interactions between the child, the adult and the prepared environment. The aim of this subject is to provide the opportunity to work under the direction of a qualified and experienced Montessori teacher, to apply the acquired theoretical knowledge of child growth and development to practical situations in established Montessori classrooms. This subject will introduce students to a selection of theories of education and child development. The students will be introduced to the profound nature and effects of parent/child issues on the development of young children. This subject will assist in informing and preparing students for the administrative and professional environment in which they are likely to be working. The students are to read books and make use of them for both their written work/essays as well as practice with material and related discussions. The course reading list includes required and recommended titles. Each student shall compile an individual manual for each area of the Course. These manuals should include an introduction to each area; a description of each piece of material; the age of the child working with the material; and the aims and purposes of the material. The manuals are the student’s personal record of their course work; the work is supervised with a final assessment at the end of the Course. In order to clarify the basic points connected with Montessori child psychology the students are to write essays on topics supplied by the Course. Under supervision students will also engage in material making. All such materials are checked by the Trainer(s).